Amy, an ex-pat from England, was a terrific first TBL guide--personable, knowledgeable & insightful. Guided us through the rail system which was more efficient than attempting to maneuver a car through the city, enabling us to experience so much in a short time. Cannot recommend her highly enough! We used Amy for the day tour of Hong Kong and again for the evening. She is an outstanding guide, has lived in Hong Kong for about 10 years, knows her way around and took us to a very special place to watch the downtown light show. We were the only group in this area. It was awesome. I can not recommend Amy high enough. Absolutely outstanding tour of Hong Kong by Amy....cannot recommend her highly enough. Saw the major sights, translated menu for us to order lunch, English was her mother tongue, I really don't know what else to say, except she was the absolute best guide we had on our cruise of Asia. We also opted for her evening tour...fabulous! Amy is the best! Our flight was 21 hours late but she rescheduled our Hong Kong tour and provided a great tour for the time we had. Took seven of us back to places we had been and new sites we had not seen. Professional, friendly, skillful and flexible - highly recommended. Amy's confidence and capability drives her focused presentation of Hong Kong, its politics, its history, and its culture. We were able to experience the scenic mountains and bay, the neighborhoods, the beach, two temples, a shopping center, a botanical garden, and a ride on a sampan—all in a leisurely fashion. She covers background and details with an expertise that is singular. Best of all, she sends text and photos of the day! She's at the top of our list of more than twenty guides. What a delightful day. Any was knowledgeable, friendly,and a joy to have as a tour guide. This was a fantastic way for us as first time visitors to orient ourselves and to experience the bustling energy / magic of Hong Kong. We would like to give our tour and our tour guide, Amy O, a 5 out of 5. She was amazing, so knowledgeable, friendly, funny and a great companion for us for the 4-5 hours we spent together yesterday. We walked for hours together, saw amazing parts of the Island with her, learned about the history of the island and various parts, and we will now feel more confident on our own when we continue to explore the rest of our week in Hong Kong. We were so happy to have met Amy! Highly recommend! Fun Tour! Amy is an excellent and enthusiastic guide. Amy was great - both personable and knowledgeable. Also well organized so that we were able to jump the line and maximize our time. We really appreciated that in addition to the top highlights she took us to some places off the standard tourist itinerary to get a better perspective on Hong Kong. Amy was a delightful and informative guide. We enjoyed every minute. Ten stars for Amy!! Amy was very accommodating, adjusting our tour to our desires. She was very knowledgeable, pleasant and showed us the city with ease. Had a great time. Amy is very friendly and knowledgeable. She knows her way around Hong Kong as well as all the nice and beautiful spots. This tour gives you a perfect Hong Kong experience and Amy makes you feel like a local for the day. Overall, Amy is a great tour guide. TOUR GUIDE RESPONSE: Thank you so much Chinmay! It was lovely to spend the day with you! My wife and I enjoyed two separate tours with Amy. She is extremely knowledgeable and a very nice person to spend time with. I highly recommend her if you are considering a private tour in Hong Kong. TOUR GUIDE RESPONSE: Thanks Greg and Patty! It was lovely to spend time with you. Thank you for the booking, and hope to see you again in HK sometime! 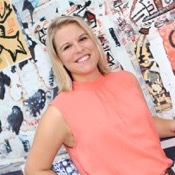 Amy thinks outside the box to design tours and customize experiences that cater to the desires and interests of her clients. She is extremely flexible and really wants to make her clients happy. We had the most amazing time on this tour with Amy and are so grateful for her positive, fun, and kind demeanor! Best tour and super thankful! Amy is the most amazing tour guide!! She is incredibly kind, easygoing, and likeable. My mom and I felt as though we explored Hong Kong with a friend. Amy really went above and beyond to make our trip enjoyable and our best days of our trip were those spent with her. Don't visit Hong Kong without booking with her!! I had a wonderful day seeing the sites with Amy; also a very tasty lunch. She is very knowledgeable and informative and tailored the day to my interests. Couldn't ask for more. TOUR GUIDE RESPONSE: Thanks Jenny. I hope you and Vanessa are having an awesome time in Vietnam! Great day with a friend! Amy took us to Victoria Peak where we hiked to a great look out spot away from the tourists. We tried traditional dim sum and Chinese sweets. Visited a wet market. Went to a snake cafe to have snake wine and my daughter held a python. Went to a temple of zodiacs and made a wish. We learned about the British history of Hong Kong and what's in store for the future. She was open for doing anything we wanted. Easy to understand as she is a British expat. Best guide we had on trip! My time with Amy was a delight. She is an excellent guide. I would heartily recommend her to everyone visiting Hong Kong. Amy was wonderful! She met us at the hotel as promised, and amazingly, managed to take us to see everything we asked to see in Hong Kong in one day- Big Buddha/Lantau Island, Central and shopping district, Victoria's Peak, and back to Kowloon by the ferry. She was also helpful in bypassing long lines and using her Octopus cards to help us get around town efficiently. I highly recommend Amy for a private tour of Hong Kong, especially if you are short on time! We were delighted with Amy who is extraordinarily knowledgeable. Our questions turned into conversations about the history, culture, religion and life of Hong Kong. Amy had wonderful ideas and we experienced many aspects of Hong Kong. Even though Amy clearly had a plan, she was very flexible and adapted easily to our interests and preferred pace. There was no canned pitch yet every minute seemed to be packed with information and new experiences. And, above all it was fun spending time with Amy! Had a great time in Hong Kong an so glad I booked with Amy. Great guide. Would recommend her highly! Amy was fabulous as a guide. She was knowledgeable and enthusiastic. She was flexible regarding my wishes and made excellent choices for meals and transportation. Look forward to my remaining two days with her. Informative and knew all of the secret ins and outs of Hong Kong! If looking for a guide in HK, Amy is your choice! We had a lovely tour with Amy. Very informative. Amy was very personable and knowledgeable She covered a lot of ground both physically and verbally. She also provided information that was helpful after the tour was over. Like using the subway and places to go and places to eat. Well worth the money. Customized Tour During Hong Kong Layover: Amy was fantastic! Our flight arrived at 5:00 am Hong Kong time. Amy was there to pick us up and made the very most of our very brief time, including a boat ride in the harbor, sunrise over the city, a temple tour, and a visit to the street market. She adapted completely to our constraints. Her ability to answer our countless questions allowed her to demonstrate in-depth knowledge. I recommend her unconditionally, and we were back to the airport on schedule! Amy is Great. She is very personable and knows all about Hong Kong. The perfect guide. Really excellent tour Amy did her homework to prepare a difficult tour as we were looking for old British Army camps in the New Territories from fifty years ago. We both really enjoyed it. Amy really gave us a day that we will both remember for a long time. Pass on our thanks to Amy. We had a wonderful private tour with Amy. She's very friendly and knowledgable and after collecting us at the cruise terminal she took us to various points in Hong Kong to give us a flavour of life. We particularly enjoyed the visit to the market where you can see all of the unusual food on offer and even get to try some. I would highly recommend. Amy is a bright, delightful person. She shared a lot of information about Hong Kong and China, their culture, history and other details. She was more than willing to tailor her tour to our desires. We thoroughly enjoyed our time with her. Amy is very knowledgeable, pleasant and easy to spend a day with. We had a great time on our tour and she was very willing to customize it to fit our needs and wishes. We recommend her highly. Excellent guide! Friendly, knowledgeable and sincere. Would recommend her to any of my friends. Amy did a fabulous job. She worked with us to design a perfect day touring Hong Kong. We had lunch in a Dim Sum restaurant that met all my wife's gluten free required. The day could not have been better. We have used TBL for a long time......she clearly is the best! Amy was a fantastic tour guide that gave us a great overview of Hong Kong. We accomplished much more in a day with Amy than we could have on our own. In addition, Amy followed up with a very comprehensive email after the tour with a list of recommendations and resources, including a number of items that were specifically of interest to us. I would HIGHLY RECOMMEND Amy if you are planning a visit to Hong Kong. We had a lovely day exploring Hong Kong with Amy. She provided an insider view of life in this bustling metropolis. We toured fascinating outdoor markets frequented by locals, and Amy explained in detail the significance of the various stalls to the people who shop them. Despite the overcast weather, we still enjoyed many views of Hong Kong's famous skyline. We also ate top notch dim sum. Amy was very flexible and accommodating. She's also a delightful, warm person whom we recommend enthusiastically. Amy was brilliant! ~ Happy, friendly, energetic, engaging, and so full of knowledge. She was clearly prepared with details of where to go, what to see, and how to use public transport to the greatest advantage, but what stood out was how easily and quickly she was able to shift gears to address our random request to visit a particular shop. Amy is a star. We will be back to Hong Kong, and we look forward to spending additional time with our new friend, Amy. Amy was a fantastic tour guide. My wife and I very much enjoyed our day in Hong Kong and all the things Amy had for us to see. She was very informative, professional and a pleasure to spend the day with! I highly recommend her for an outstanding experience. We had two wonderful days with Amy. She is an excellent guide and is very knowledgeable about Hong Kong, the people, history and customs. We thoroughly enjoyed our time with her. This was our second day and was a great follow on to the first day. While the weather didn't fully cooperate, it was still an excellent day of seeing the New Territories and sampling the local cuisine! We highly recommend Amy! We had two wonderful days with Amy. She is an excellent guide and is very knowledgeable about Hong Kong, the people, history and customs. We thoroughly enjoyed our time with her. Our Dim Sum lunch was excellent. The pace was just right for us and yet we saw quite a lot on this first day. We highly recommend Amy! Great time with Amy. She was very flexible and knowledgeable. We had never previously visited Hong Kong and asked Amy to provided a general introduction and overview of the territory. We prefer to use Public Transport and get as close as possible (within the limits of a single day tour) to local life. Amy more than met our expectations, providing an interesting and informative tour. Much appreciated. Wonderful tour with Amy. She was very knowledgeable and enthusiastic. We would highly recommend her to anyone looking for a tour of Hong Kong. Amy is a wonderful guide. She is charming thoughtful and well informed. She was very innovative in selecting the important features of Hong Kong that were part of our tour. She had valuable commentary, which included background on each site's function and history. She was very accommodating in tailoring the tour to cover items of special interest to us. She was out first guide in HK and provided invaluable help in making our entire trip a success. We strongly recommend her as a Hong Kong guide. This was one of the best, if not THE best tour I've taken anywhere in the world. Amy O. is astounding in every way. I hired her for a group of 24 and she was able to keep us together; on time; spoke loud enough for everyone to hear; is totally amazing in every way possible. Kind, warm-hearted, lovely, smart, energetic - she's the dream tour guide and went out of her way numerous times on our tour to ensure that everyone had all of their expectations met!! AMAZING!!! TOUR GUIDE RESPONSE: Thanks Wolf and Nissie! Really pleased to have met you both and that you enjoyed the routes. We should adventure further afield next time :) You're correct, - certain level of cycling proficiency is advisable for this tour. Thanks again! Amy provided us with a fantastic tour experience. She is energetic, enthusiastic and very knowledgeable about Hong Kong. We visited everything from Buddhist temples and gardens to the markets of Kowloon as well as the peak using all forms of local transportation. It was a true pleasure to tour with Amy as our guide and I could recommend her without hesitation to anyone interested in a walking tour of Hong Kong. My wife and I had a fantastic day out with Amy. She met us at our hotel and despite the cold and drizzling rain paced our tour really well. We saw an incredible amount, with helpful explanations. We had a wonderful dim sum lunch at a busy restaurant full of locals. Overall an excellent and highly recommended day out in Hong Kong. It was like spending the afternoon with an old friend. A very nice and enjoyable tour of the city. TOUR GUIDE RESPONSE: Hi Trevor, thank you for the great feedback. I always aim to make people feel comfortable! The day after you left Hong Kong saw its coldest day in 60 years!! Lucky we missed it. Warm regards to you and your family and do look me up if ever you're here again. Amy. I had a really enjoyable and informative tour with Amy whose knowledge and passion for Hong Kong was great. Highly recommended. 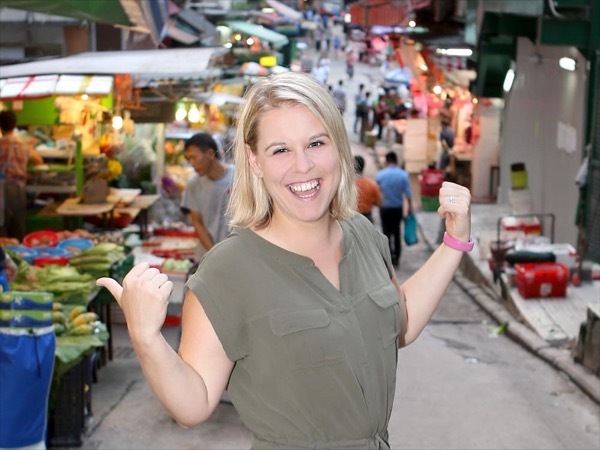 Amy is incredibly friendly and knowledgeable about all aspects of Hong Kong live - the history, the culture, the food, essentially everything. You can tell that she loves what she does, and enjoys sharing her city. Amy took us to some awesome places I am sure we would not have discovered on our own. It is without hesitation that we recommend Amy as a tour guide for Hong-Kong. Amy was fantastic with us and our children ages 11 and 7. Highly recommend this tour and this guide! Thanks!! I wish I could give Amy 10 stars - our Hong Tong tour with her was the highlight of a 17 day trip to China. She showed us a side of Hong Kong that only a local could bring. Still in amazement of the story of Hong Kong, bamboo scaffolding, wet markets, strange fruits, great dim sum, negotiation skills in street markets, and the super efficient MTR and bus system we used throughout the day. Thanks, Amy, for a great day! I agonized briefly as to whether to take off one star for one important issue..but in the end gave it 5. Amy is lovely, knowlegeable and affable. We enjoyed seeing the iconic sites with her ( the peak, waterfront etc) and had a first class dim sum lunch. Nothing but praise for her. HOWEVER, ( full disclosure...I am a Surgeon) in NO WAY is the physical activity on this tour " minimal" as listed.Walking blocks in 38c heat at a 30 degree incline would be very challenging for some people. TOUR GUIDE RESPONSE: Dear David. I have taken your advice and have changed the rating - I agree that there should not have been that level of effort and still feel terrible for not realising sooner during the tour. Thank you for the very generous rating, but I do think 4 stars would be more appropriate. I was an "airport layover tour" -- I took the train from the Airport to meet Amy in Hong Kong and I only had 5 hours to spend in the city. Amy utilized the time very well! I consider myself a decent navigator but I would have never been able to do all that we did on my own. Amy was kind, knowledgeable, and knew the insides and outs of the city. She made my brief time in Hong Kong very memorable! Highly recommended! TOUR GUIDE RESPONSE: Thank you very much for the kind words Dean, I'm very glad we managed to squeeze everything in, even dim sum at City Hall! Please get in touch of ever you are back this way, I would be happy to help. Amy. Amy was wonderful. accommodating, knowledgeable, sense of humor, flexible, can't say enough about our day in hong kong thanks to amy's professional expertise. TOUR GUIDE RESPONSE: Thank you Nancy! I hope you Julia and Beverley continued enjoying your cruise - and gnat NYC wasn't frozen when you got back. Please do look me up if you're ever this way again. We loved our tour with Amy. She was super knowledgeable and fun of course, but more importantly she was patient and flexible. She successfully lugged 11 distracted business folks through the busy streets with ease and grace. Amy is a wonderful guide. She is very personable and knowledgeable. we had a wonderful day with her. I would highly recommend her. I had a great time with Amy exploring the less know sites of Hong Kong. She is very knowledgeable about Hong Kong and clearly loves the city. This was the first time I used a private local guide and it was such a great experience, I will definately look at using a guide for future travel. Amy was amazing. She took me to lots of very cool places in Kowloon. We visited all the different night time markets, had great Dim Sum and other local treats. Additionally, Amy made sure I was familar with the local public transportation, so I could easily get around by myself as well. Amy was a wonderful, friendly and knowledgeable host for my full day tour of Hong Kong. We covered the must see sights of the Island including a variety of wet markets. With a focus on interesting photographic opportunities, I couldn't be happier with this tour! Amy was our tour guide on our visit to hongkong, there was 4 adults in our tour and all agree that it was great very informative,and a good way to experience hong kong we all four thank you Amy. TOUR GUIDE RESPONSE: Thank you so much Alexander for the booking! I hope you enjoyed the rest of your stay and had a safe flight back to Australia. The very best to all of you, Amy. I am soooo glad I booked this tour. I had joined my husband on a business trip , so the days were my own. Amy was excellent , came to the Hotel to collect me & delivered me back when we had finished. We covered a fair few sites & hopped on & off allsorts of public transport , which I may not have been confident to do alone. Amy knew her stuff and had a very easy to be with manor. We went for Dim sum @lunch, tried a few new things there too! All in all a fab day,I would highly recommend Amy and this tour. To make the most of a three day stay in Hong Kong, I arranged for Amy to "show me Hong Kong" on Day I and she didn't disappoint. Using various forms of public transport, she covered everything from the major tourist attractions to local life, street markets and food. Her knowledge was excellent and her tips along the way were invaluable for the remaining two days. It was a full day, but Amy was a delight to be with and her love and enthusiasm for this wonderfully vibrant city was evident. Amy is an excellent tour guide. As a professor, I appreciate Amy's natural ability to educate. Her knowledge is extensive and well researched, and she balances details with fun facts. She cared about us having a great time and experiencing Hong Kong in a way to fit our needs and interests. She has a great personality, and it was like reuniting with an old college buddy. We saw and experienced more than we had hoped. Amy effectively and efficiently navigated the city and always made us feel comfortable. Amy provided our group of 4 an excellent introduction to Hong Kong. We found her to be very enthusiastic and knowledgeable and the tour itinerary was excellent. Amy was very friendly and made us feel comfortable as we explored Hong Kong. We would highly recommend her to anyone looking to visit Hong Kong. I had the best tour ever! Amy listened to me and knew there were many things I wanted to do (that I hadn't done on my previous trip) eg the bird market, Star Ferry, Hard Rock Cafe... We did everything on my list and much more. Having someone with local knowledge made a huge difference. I wanted to have my fortune told at a temple and she knew which lady to use as she had the best English and I'd understand her. I can't believe how much we did and I am so grateful to Amy for her friendship and help. Amy was a knowledgeable guide. She was accommodating to our needs asy 83 yr old mother was with us. She was like a friend sharing her 'HK' with us. She also provided help to us following our guided tour to chose restaurants etc. we felt we saw real Hong Kong. Totally recommend Amy. TOUR GUIDE RESPONSE: Thanks Miriam, it was a pleasure showing your lovely family around Hong Kong! Amy was delightful and set up a day for us to see the real Hong Kong! She even had a great jade store for us to buy gifts for our daughters. We would not hesitate to recommend her to friends. thanks for a great day, Amy! My husband took Amy's tour and he enjoyed the ride immensely. Amy was very professional and very helpful and always considerate of how he was doing. We hope to see her again, next time we are in Hong Kong! TOUR GUIDE RESPONSE: Thank you very much Nonna! I very much enjoyed showing your husband around and I hope to see you as well next time. Best to you both, Amy. Amy was wonderful, flexible, informative and a pleasure to spend time with. I would give her the highest ratings possible. TOUR GUIDE RESPONSE: Thank you Jo! I had a great day with you both, and hope you enjoyed the rest of your cruise around Asia.